In an effort to appeal to their young and increasingly technology hungry customer demographic, innovative Korean low-cost carrier Jin Air has partnered with Inflight VR to offer Virtual Reality (VR) inflight entertainment to its passengers. 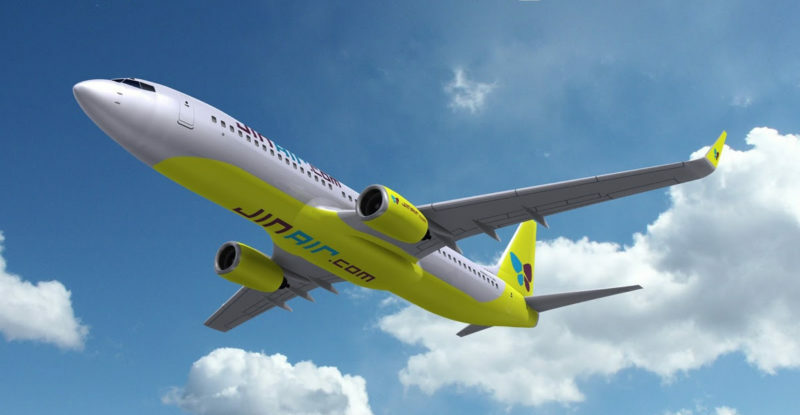 Jin Air will trial 10 devices on daily flights between Seoul, South Korea and Da Nang, Vietnam to get additional passenger insight on usage preferences and the adequate rental price before deploying it to their whole fleet. “VR is one of the biggest emerging technologies these days. Our increasingly technology savvy passengers expect more than the standard entertainment on most airlines. Our collaboration with Inflight VR and their thoroughly developed solution will meet our passengers’ increasing demand for flight entertainment, and help Jin Air’s brand to stand out”, says Mr. Lee, Jin Air’s Head of IT Strategy Team. Further, Inflight VR’s Chief Commercial Officer Raphael Baumann explains: “We make Virtual Reality work. Take aside that some passengers cry for amazement using our solution. 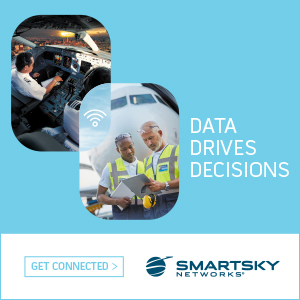 Our thorough approach addresses all technical, logistic, usability and rights management aspects to make this a seamless way for airlines to bring innovation to their passengers”. Bringing Virtual Reality on board of an aircraft requires a high level of technology integration application efforts: Interfacing with the cabin management system for safety measures or connectivity platforms. Addressing concerns detrimental to the VR user experience. Protecting content. These topics were tackled successfully by Inflight VR’s unique business and technology expertise. As a result, passengers can explore new destinations, relax through guided meditation, watch movies in their own movie theater or virtually upgrade themselves into business class. From a city sightseeing tour through New York to diving with whale-sharks, possibilities are nearly infinite and besides the entertainment, passengers will benefit from a more comfortable and perceived shorter travel experience. Jin Air is a leading Low Cost Carrier (LCC) in Korea. Since its establishment in 2008, Jin Air has been continuously expanding its international routes to Japan, China and Southeast Asia. Currently Jin Air is operating over 30 domestic and international routes. By introducing B777-200ER aircrafts, Jin Air became the first domestic LCC to launch long-distance routes, such as Incheon to Honolulu, Hawaii. Inflight VR is a limited liability company (GmbH) headquartered in Munich, Germany, with an operational office in Barcelona, Spain. Established in 2014, its multinational team of virtual reality software specialists has developed a unique concept enabling a seamless deployment of a fully immersive and high-quality virtual reality (VR) entertainment system on board aircraft and other transport vehicles, thanks to individual stand-alone VR headsets.